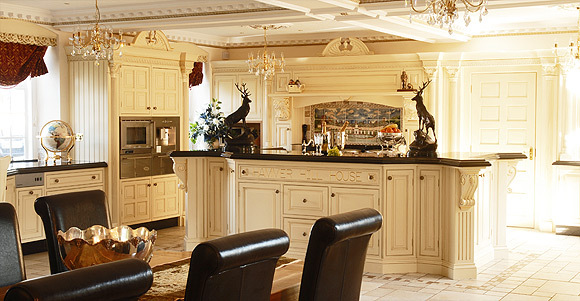 The popularity of ‘Shaker’ kitchens has increased as a style which doesn’t date like styles of the 70s and 80s. However discerning customers are also on a quest to purchase bespoke kitchens which are more exclusive and different from the stereotypical offerings available. 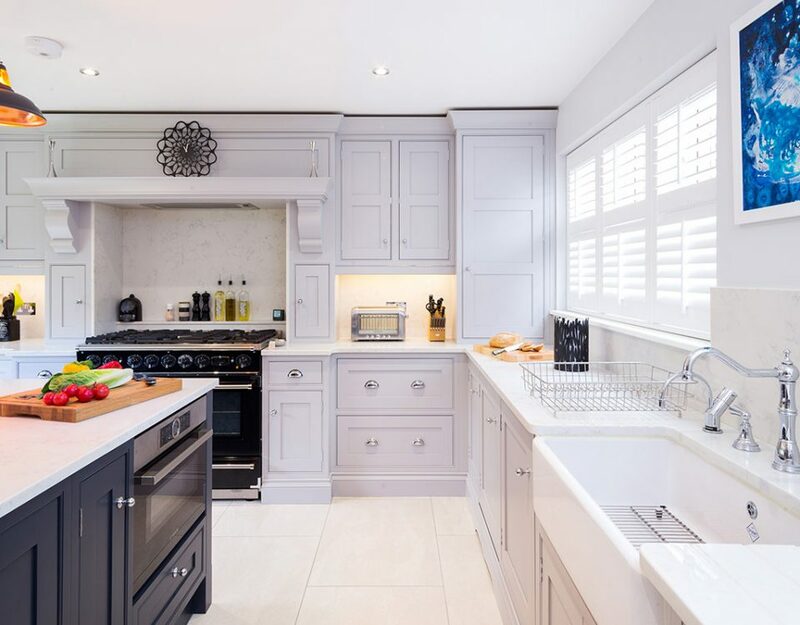 Traditional, modern and designer kitchens can be three distinct styles but, as a kitchen manufacturer, based near Birmingham, Broadway Kitchens has the capability to combine any of the styles into a bespoke luxury kitchen. To set a kitchen apart from the run-of-the-mill shaker Broadway has, over the last 44 years, introduced variations on the simple shaker theme with, ‘beaded shaker kitchens’, ‘chamfered shaker kitchens’, ‘contemporary shaker kitchens’ and ‘grooved shaker kitchens’. 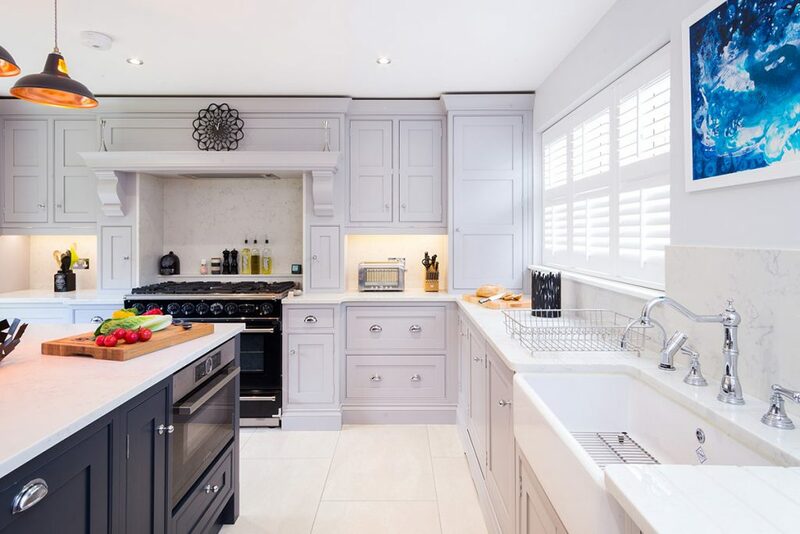 The majority of people want something that reflects their own style and taste and one of the latest trends is to introduce two or three different colours into any truly bespoke kitchen. Shaker doors in a variety of colours and finishes can be aesthetically enhanced with the introduction of different handles, glazed cabinets and glass splashbacks apart from the functionality of storage devices which hide behind the doors and drawers. 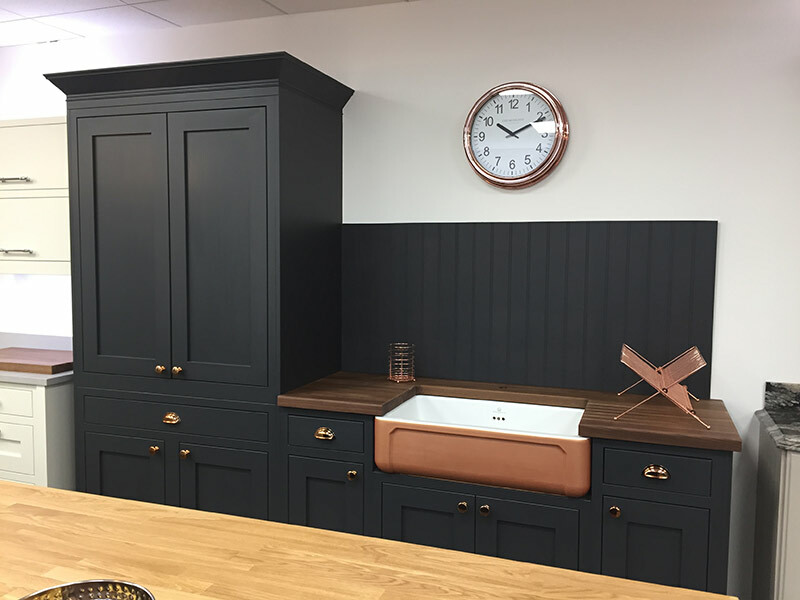 Classic shaker kitchens and more-traditional kitchens will undoubtedly retain their popularity but our bespoke design and manufacturing expertise allows us to integrate the contemporary features you’d expect to find in a modern kitchen. 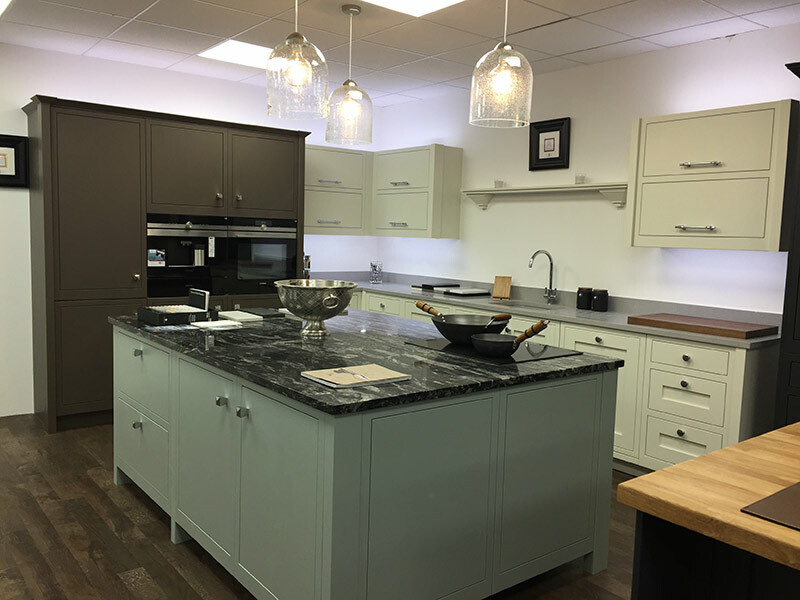 All in the continuous quest to meet the needs of individual customers who wish to choose a bespoke handmade kitchen which is exclusive to them and not a series of mass-produced boxes bolted together. 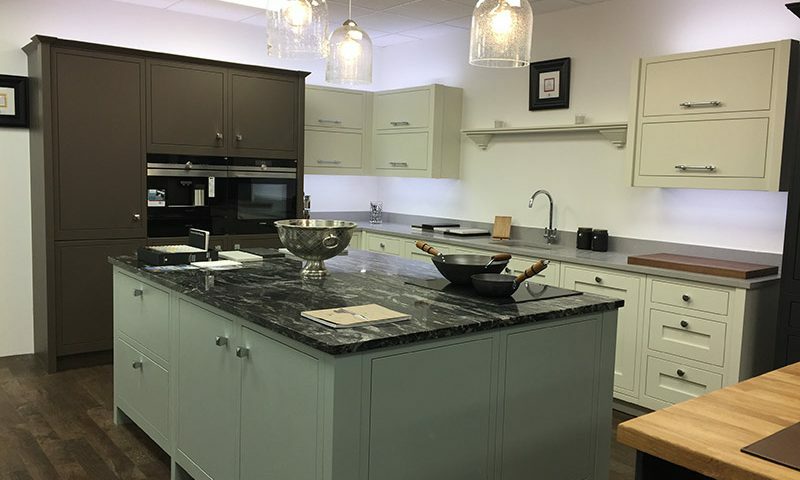 As kitchen designers and manufacturers of traditional and designer kitchens for nearly half a century Broadway now has a showroom to serve the need of customers around London as well as the long-established kitchen showroom in Sutton Coldfield near Birmingham.